Pall Biotech, a division of Pall Corporation (a Danaher company), delivers total product and service solutions to global researchers, developers and manufacturers of large and small molecule drugs. The unmatched portfolio of traditional and single-use products is backed by custom service support and is both scalable and easily integrated to support processes from R&D through to commercial phases of production, including formulation/filling. 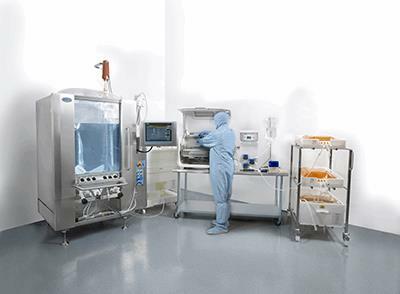 As a core driver of the continuous bioprocessing movement, Pall Life Sciences has remained focused on delivering innovative semi- and fully continuous solutions, with the goal of continuously improving bioprocesses for a safer, healthier future. Pall Biotech’s comprehensive portfolio of traditional and single-use upstream, downstream and viral filtration technologies is enhanced by a global network of ISO9001 certified manufacturing facilities, and a full range of Scientific and Laboratory Services (SLS), technical process and validation support. The Pall Biotech team delivers industry leading process validation and technical support to customers as a daily standard, with assurance that global regulatory compliance rules are understood, and met (or exceeded). Additionally, the team offers access to customizable support service add-ons that help customers overcome challenges and meet goals more efficiently. Address optimal configuration of a multi-column continuous chromatography (MCC) system, with insight into the impact antibody titer has on the number of chromatography columns required to optimize productivity of a MCC process. Review simplified continuous filtration, particularly for UF/DF, with a look into our exclusive license to patents in the field of single-pass tangential flow filtration (SPTFF), which enables continuous filtration without recirculation at several stages of a continuous bioprocess. Examine common regulatory challenges and areas of uncertainty in the implementation of continuous bioprocessing, and understand practical, total solutions. Addressing the concerns regarding limiting the rapid adoption and implementation of single-use technology has centered on standardizing single-use component extractables data packages to be used for end user risk assessments. Discover how you enhance the removal of HCPs and aggregates during mAbs production with versatile solutions that deliver over a broad range of conductivity and pH to fit with any mAb, while using a platform process adaptable to both batch and continuous processing.